The Course Hub will be the definitive starting point for all online course resources. 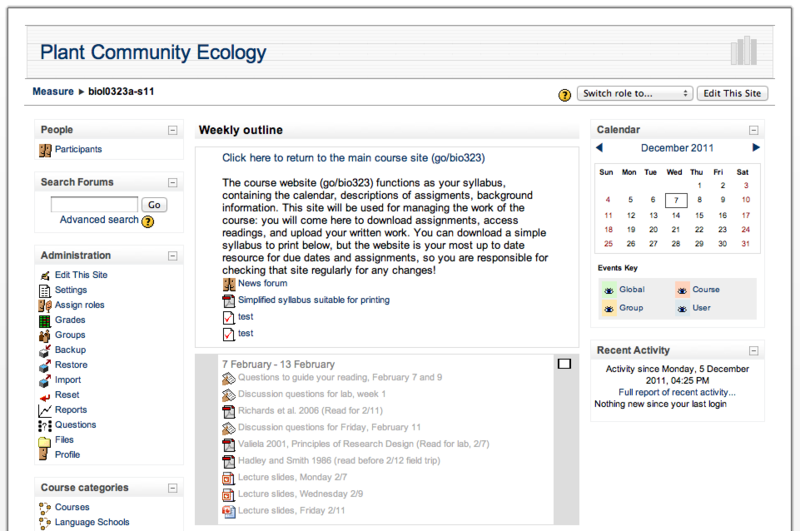 The Course Hub is configured to connect to WordPress, ERES and soon the new Moodle our new learning management system (LMS). Below are some of the common ways course sites are used and a comparison of how Moodle and WordPress are designed to support such usage. 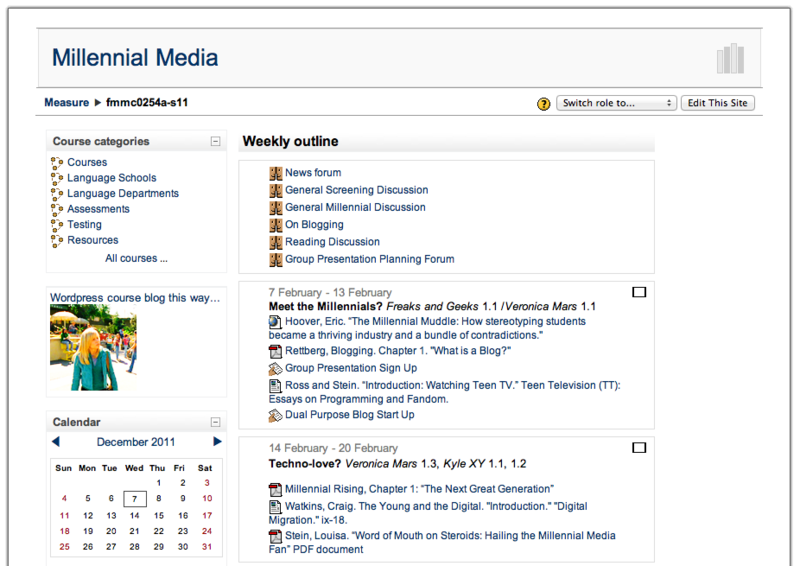 The links to example sites for Moodle no longer work, except for the first side by side comparison one at the top. It would be great if this linked to screenshots instead. Thanks for noting broken Moodle links. I’ve replaced with links to images as you suggested. Help us find the best technologies for teaching, learning and research. Vote on some existing ideas/suggestions or submit your own.